Touch down in Anchorage, a city that’s the perfect base for an action-packed winter adventure. A city flanked by the beautiful mountains and the surrounding snowy wilderness makes this the ideal location for ice climbing, rafting, heli-skiing, snowmobiling and many more activities. Hole up in your downtown accommodation and get acclimatised to Alaska’s wintry conditions, and explore your surroundings before the action kicks off. From Anchorage you’ll be whisked off to the historical gold-mining town of Girdwood, 38 miles southeast of Anchorage and home to your luxurious base for your snowmobiling adventure; Alyeska Resort. For the next few days, the Alaska wilderness is yours to explore on the back of a high-speed snowmobile. Make sure to have your camera at hand as you skim across open snowfields, along frozen rivers and swamps, and through open meadows, as you keep your eyes peeled for a chance to see Alaska’s unique wildlife. From Girdwood, it’s back to Anchorage and onto your next adventure; dog-sled racing. You’ll be a musher handler within the race chute, assisting in the handling of the race teams. 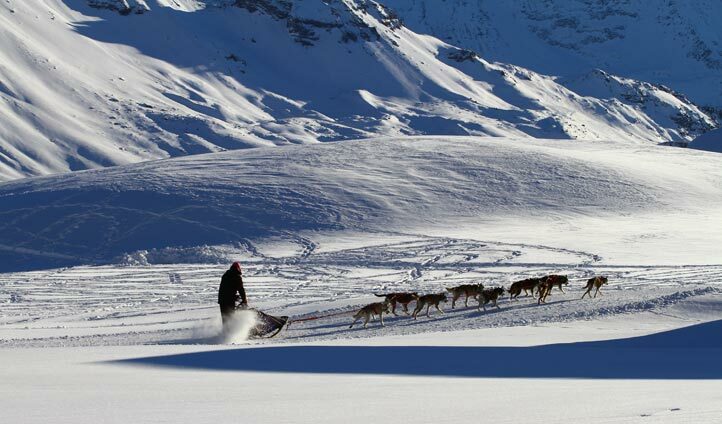 Get to know the dogs and follow the race until lunchtime when we whisk you onto a ski plane for a spectacular scenic flight over the nearby glacier. Soar over glaciers that have remained unmoved and unchanged for centuries, leaving pure white expanses across the Alaskan landscape. Spend the evening in the picturesque town of Wasilla, where the Iditarod race will re-start the next morning. Surrounded on three sides by snow-capped mountains, absorb Wasilla’s natural beauty, and keep warm beside your lodge’s crackling log fire. Today, you’ll assist the race by manning a crucial road crossing on the race trail. Watch as the packs of huskies and their sleds whizz by within inches of you and after the last musher has passed, tuck into your specially prepared trailside lunch before climbing on your snowmobile and chasing down the sleds ahead. Having taken part in the race on the first day and chased it over the snow the next, now it’s time to follow the race from the skies. Fly over Mount McKinley, gulping down the breathtaking views and then follow the race from your bird’s eye view. Touch down at the Finger Lake checkpoint for lunch with the mushers as they take a break from the racing on their way to Rainey Pass. The next day, it’s finally time for your big chance to harness up and race your own dog team. First, though, you’ll be given a kennel tour by a husky expert, making sure you get all the ins and outs of handling these wild pack animals. Feel the thrill of whistling over the snow at full speed with the incredible landscape unfolding before you. Take a break in the middle of the day for a catered campfire lunch, also allowing the dogs a well-deserved rest for a few minutes. 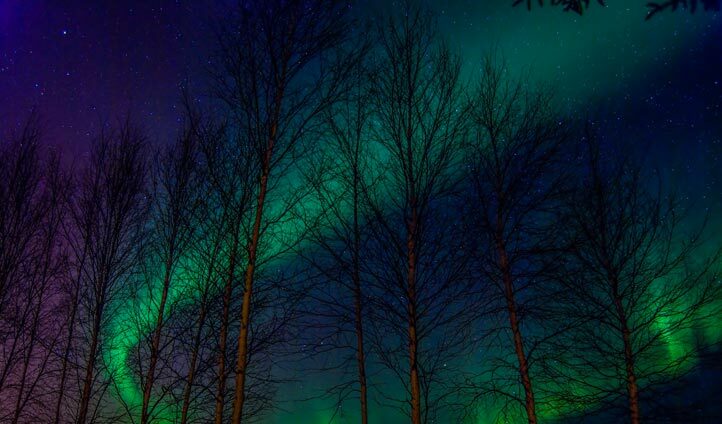 With the race finished and your wilderness adventure at its end, we’ll transfer you back to Anchorage for a final night in the city, where you can take in the last vestiges of Alaska’s spectacular ethereal beauty, mesmerised by the Chugach Mountains and Anchorage’s frozen fjords.